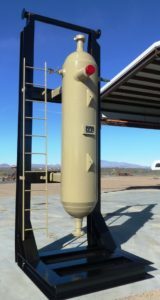 MOUNTAIN EQUIPMENT OF NEW MEXICO, INC. – MOUNTAIN EQUIPMENT OF NEW MEXICO, INC.
Mountain Equipment is your one-stop shop for cyclonic sand separators. 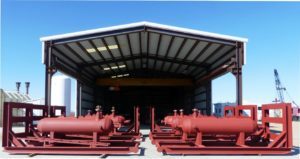 We offer ASME coded cyclonic sand separators (aka “sand traps”) in different sizes and pressures. Cyclonic sand separators use centrifugal and centripetal spin forces to separate sand from the well flow while older gravity sand traps use a combination of slowed flow speed and gravity. Each type of sand separator has specific applications; see our FAQ page to learn more. We sell cyclonic sand separators manufactured by DuraStrong Fabrication. 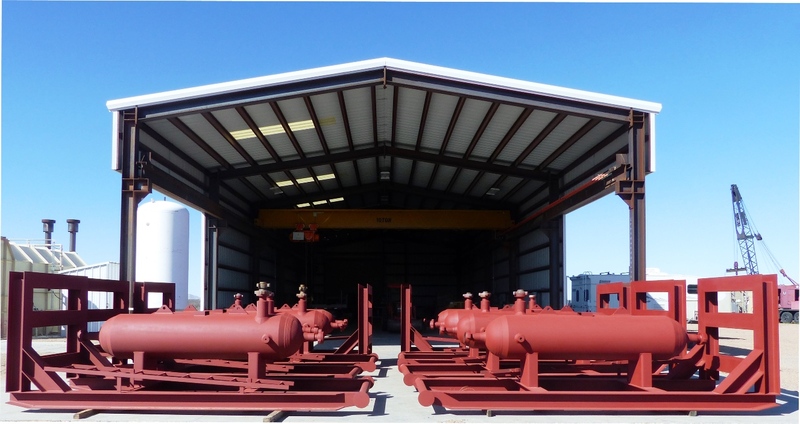 We test and complete the desired sand separator to customer specification by adding a skid or trailer, down-comers, valves, and any desired instrumentation. Finally, we paint the sand trap and perform final QC. Cyclonic sand trap rentals are offered in Daily, Monthly and Yearly rates. Contact us about your specific rental requirements. We also offer accessories like down-comers, dump valves, manifold chokes and trash catchers. Talk to your sales person about any specific needs you may have. Prices shown for WTI Crude and Brent Crude are for the previous business day, at market close. WTI is the benchmark price for US oil and Brent is the benchmark price for Europe. The Canadian Crude Index (CCI) serves as a benchmark for oil produced in Canada. The CCI value is live and shows current Index price.